Soul of the Storm: Blog Tour! Available on Amazon March 20th. Another sweet little book is coming out March 20th! Below you’ll see my blog tour schedule (plus some visits to fellow The Wild Rose Press authors’ blogs). Hope you can stop by at one or two. Don’t forget to enter the giveaway! You’ll learn more about me, my writing process, and Soul of the Storm. Will Rise from Ashes: Releases April 17th! Wow, wow, wow, my baby is coming to readers’ hands on April 17th. It’s been a whirlwind spring with three books coming out, each a month apart (no, I did not plan this, but I grabbed the reins and I’m enjoying the ride!). This book put my perseverance and patience to the test: countless rewrites, critique partners’ (and agents’) feedback, ping-pong edits with my editors…and sweat and tears. At the end, I was rewarded with the layered, gripping, and heartbreaking journey of AJ Sinclair and her son Will. I’m filled with gratitude that my editor took a chance on this book (Women’s Fiction and a shift from my usual romance stories). I’m also forever grateful to my writer’s group and beta and critique partners that guided me to the end. Thank you, all! A Hundred Breaths: Blog Tour! Come with me on my Goddess Fish Blog Tour adventure! Each stop will have an opportunity to enter an Amazon/Barnes and Noble giveaway, you’ll read excerpts from A Hundred Breaths, and learn more about me, my writing process, and facts about the book! Don’t forget to enter the Rafflecopter along the tour to win a $20 Amazon or Barnes and Noble giftcard! A whirlwind tour of Scotland: isles, castles, abbeys, lochs, moors, oh my!, and a visit to the Draken Harald Hårfagre while it was harbored in Connecticut. 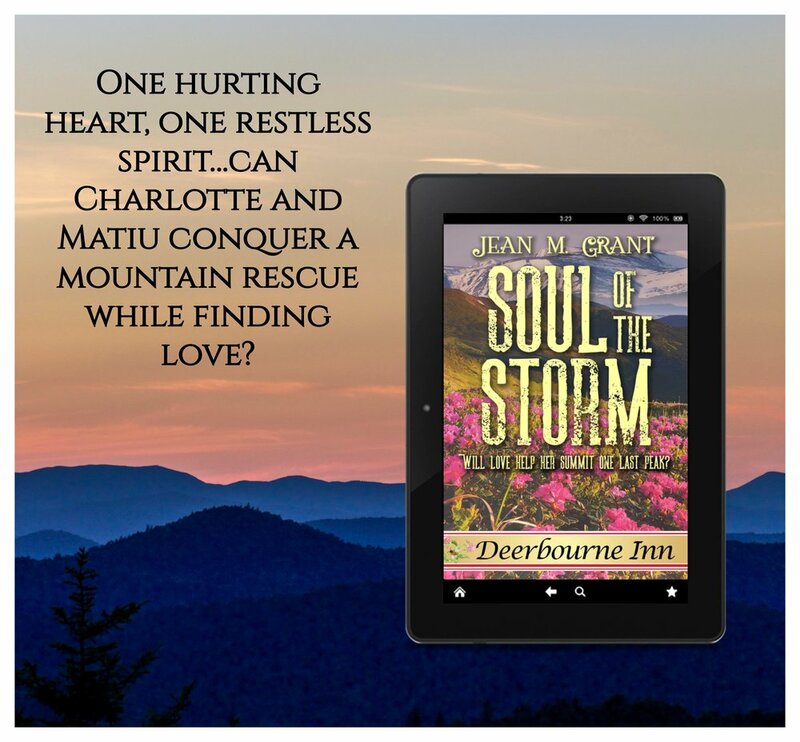 Soul of the Storm is part of the new Deerbourne Inn series by The Wild Rose Press. With an idea already brewing for a healing story set in my native region of New England, I jumped on board with this series of shorter stories/novellas that take place in the quaint fictional town of Willow Springs, Vermont. It’s hypothetical location is near the town of Warren, VT, so after doing some research in the Mad River Valley (would you expect less from this traveler? ), I got writing! This was one of my favorite stories to write to date.